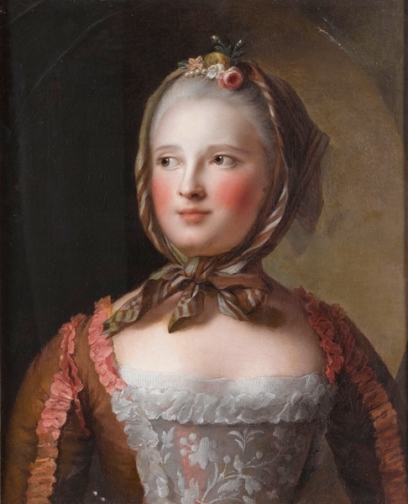 The most famous paint where you can admire an actual “marmotte” style hairstyle by the Dauphine de France in 1751 is called “Marie-Josèphe de Saxe en Marmotte”, paint currently owned by the Versailles Palace. 1. popular hairstyle in France in the 18th century (in part. around 1740-1750), consisting in a scarf tied under the chin and its tip on the back of the head. 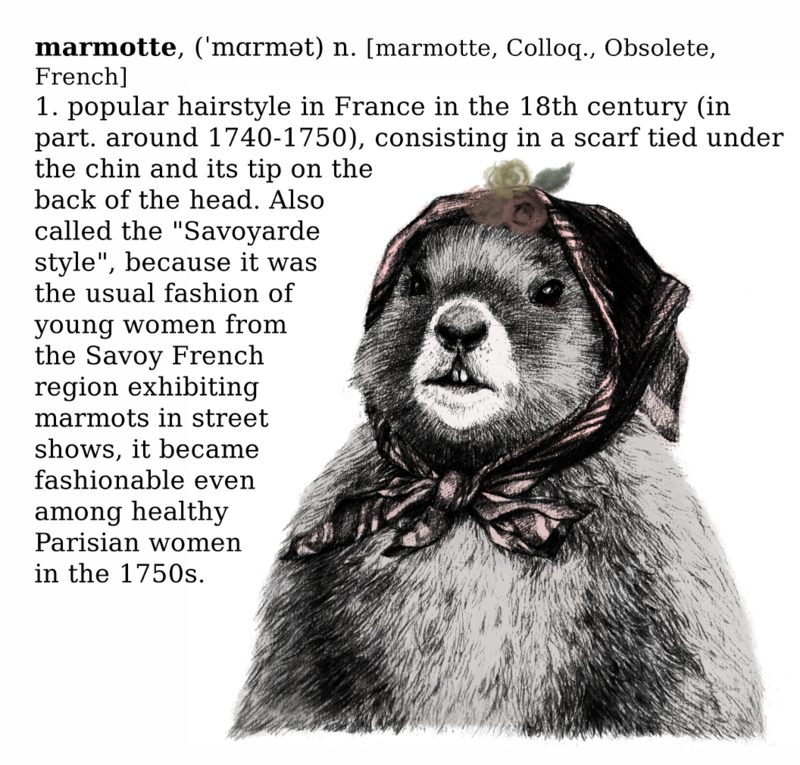 Also called the "Savoyarde style", because it was the usual style of young women from the Savoy French region exhibiting marmots in street shows, it became fashionable even among healthy Parisian women in the 1750s.